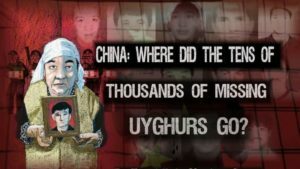 In its repression of the Uighurs in the western province of Xinjiang, China is creating a template of social control and repression that can be exported and deployed on a large scale throughout Beijing’s emerging commercial empire in Asia and Africa, writes Azeem Ibrahim, the Director of the Displacement and Migration program at the Center for Global Policy (CGP). 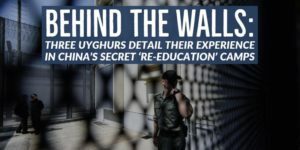 Outside of the camps, by all accounts, Beijing has instituted a full-on surveillance state in Xinjiang over the past five years aimed exclusively at the Uighur population. And many aspects of Uighur identity are simply criminalized: Uighur newborns may not be given names from a list of banned Muslim names, some Uighurs have been force-fed pork and alcohol to disabuse them of Islam, and of course, any act of celebration of their distinctive identity will draw a forceful response from the Communist authorities. The campaign challenges traditional definitions of crimes against humanity, which complicates the world’s response, Adrian Zenz, a lecturer at the European School of Culture and Theology in Germany, tells the New York Times. First, U.S. lawmakers should block all U.S. technology firms from providing surveillance technology to the Chinese government. Second, with Chinese authorities coercing governments to forcibly repatriate Uighur family members to China, the United States should grant special protected status and fast track asylum claims within the United States. Finally, in light of the scale of the challenge, Washington must establish the role of U.S. Special Coordinator for Xinjiang within the State Department to manage all efforts to respond to the situation.